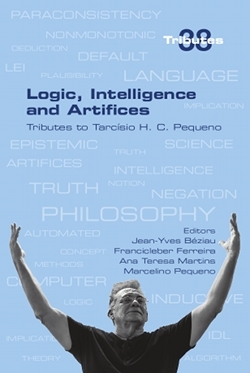 This volume is a homage to the computer scientist and philosopher Tarcísio Haroldo Cavalcante Pequeno. Tarcísio dedicated his research to subjects ranging from logic to philosophy through artificial intelligence, theoretical computer science and language. His main contributions were in nonmonotonic and paraconsistent logics, especially the study of negation; algebaic approaches to the semantics of programming languages, applications of intuitions from game semantics to automatic theorem proving; tableaux methods for paraconsistent logics and the role of rule following and rule consciousness in cognition, motivated by his interest in philosophy and the problem of demarcation of rationality. The contributions to this volume reflect the broad range of interests characteristic of Tarcísio's scientific interests. Topics include relations between logic and category theory, specifications of model checkers, philosophy of paraconsistent logics, epistemic logic, abstract argumentation semantics, natural language processing, foundations of mathematics, philosophical aspects of natural language processing, philosophy of logic and language, metaphysics, philosophy of science. During the last forty years, Tarcísio oriented, inspired and collaborated with many researchers and established the field of logic as an active research area in Northeast Brazil. This book expresses the admiration of his colleagues and the recognition of his influence on their academic lives.